Soldiers practice raids, combat in built-up, open and underground areas, thwarting infiltrations, locating bombs, and seizing weapons. IDF combat soldiers in the elite “Oketz” unit participated in a "war week" during which they practiced emergency and war scenarios. The exercise began at the end of last week, when the fighters were mobilized and began a series of preparations for battle. Later, the forces were deployed at various sites, in cooperation with the forces of the “Oz” commando unit and the “Kfir” Brigade. The fighters practiced in three specialized teams: assault, search and locating explosives and locating missing persons. During the course of the week, the unit practiced its various operational tasks while adapting to the combat zones and their characteristics, including offensive raids, combat in built-up, open and underground areas, thwarting enemy infiltrations, locating bombs and seizure of weapons. The commander of the Oketz unit, Lt. Col. G., said, "The fighters completed a particularly intensive week, which included fighting in various complex scenarios and situations, joining several units simultaneously, and fighting adapted to different fronts and combat scenarios. 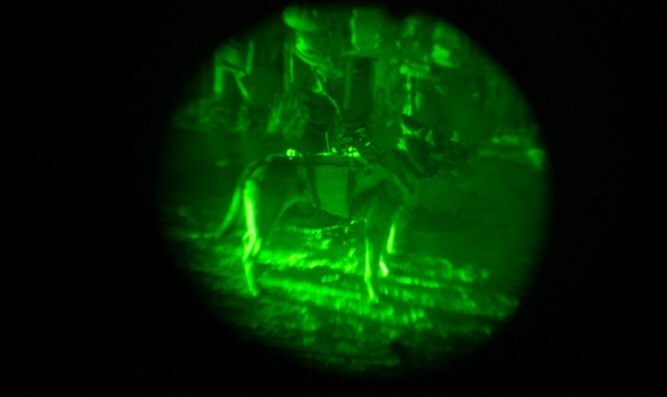 The unit is strong and ready to lead the forces forward in locating terrorists, explosive devices and weapons."